The body is dense and deep, the bouquet very rich and powerful, with notes of black fruit and woody. 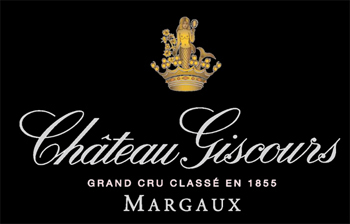 In the mouth, we find both the elegance, the nobility and the classicism of the Margaux and especially the body, power and density that are one of the brands of Giscours. Giscours has a long, rich history, which can be traced back to the fourteenth century. At that time it was a defensive tower overlooking a wild and inhospitable region. The real beginning came in 1552, when Pierre de Lhomme, a wealthy Bordeaux draper, bought a nobleman’s house called “Guyscoutz”; he proceeded to turn it into a vast estate and planted the first vines. Wine production was launched and each of the rich merchant’s successors made their own contribution to this magnificent building. It was in the nineteenth century under the promise, Pescatore and Cruse families that Giscours gained much of its finery: the château was transformed into neoclassical palace, architect Eugene Bülher and the production facilities were modernized with the construction of huge buildings, including the famous «Ferme Suzanne”. The history of Giscours represents a fascinating story, full of countless anecdotes.